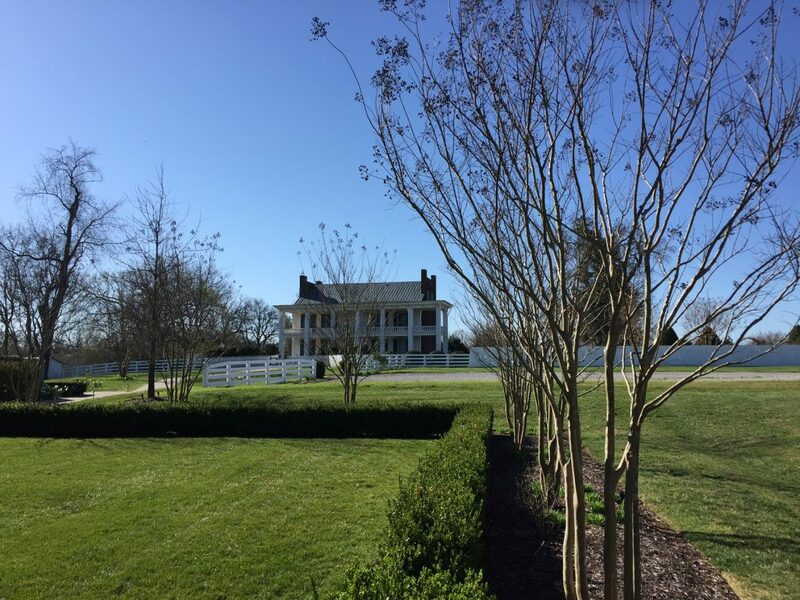 Carnton Plantation stands 20 miles south of Nashville. Its proportions are elegant, its gardens filled with rare varieties of heirloom flowers, and its wide porch is stately and inviting. Visitors can wander the rooms and gaze at family portraits, look in awe at the family silver enshrined in a glass case and stamped with elegant monograms, and climb the stairs that lead to rooms whose windows offer views of sweeping lawns and boxwood hedges. The slave cabins stood in the back, alongside the woods. And in the opposite direction, you will find the largest military cemetery in private hands in the Unites States. Nearly 1,500 graves hold the remains of men who fought and died at the Battle of Franklin. They are Confederates. I visited Carnton earlier this spring. It was not the first time I had come to the site, but I was back again with more questions and an uneasy curiosity. Carnton had been home to Carrie McGavock, a local legend whose story gained a wider audience with the release of the New York Times bestseller, The Widow of the South. During the Battle of Franklin and for months afterward, Carnton served as a field hospital where hundreds of wounded and dying men either succumbed or made slow recovery. Bloodstains mark the floors of makeshift operating rooms set up in the childrens’ bedrooms – tracing them will show where piles of amputated limbs were likely stacked, or where the cans of ether had been placed for primitive anesthesia. The story goes that Carrie tore her petticoats into bandages after the household linens had been depleted. She personally nursed casualties and after the war, she and her husband arranged for bodies to be interred on family land –a book containing handwritten records of the names and information for each man can still be seen. The place has the feel of a shrine, and walking through it on that bright spring morning, I bristled. Our tour guide noted that most of the household slaves had been sent to the Deep South once the war started to prevent their running away to Union lines. The McGavocks wanted to “protect their investment.” Lives and labor could be owned and bought and sold – and even now, in 2016, this was explained in terms that would have been perfectly at home in 1865. It was a matter of finance, and not morality – and the fact that the moral side of it was never addressed during that talk hangs with me even now. For in the story we were given, Carrie’s compassion extended only to those who looked like her, and not to those whose endless servitude made her existence possible. The lost cause of the South still controls the Carnton narrative, making Carrie a heroine and leaving the uncomfortable questions unasked. I left Carnton that day unsettled, and that feeling stays with me now. What do we make of Carrie McGavock? What do we make of the teenage soldiers who died on her porch that cold November night? Slavery is a hideous institution. The racism that was used to justify it equally ugly. I wonder if I can see the people in the Carnton story apart from their cause. Can I separate “good” behavior – compassion on the suffering – from a “bad” motivation – supporting a war justified by bigotry and exploitation? Can an act be judged apart from its context? Can I even truly know what drove Carrie and her family and the soldiers whose pieces lay scattered across the grounds? Grass grows over the graves and the McGavocks are long gone, but it is still Carrie’s story that drives the place. It is one we should know, but it is not the only one. And at least for me, it is not all of the truth. For more on my Nashville travels, please see my post Getting a Taste of Nashville at World Traveler’s Today. Solid post. Thanks for sharing. Thanks for stopping by! If you have not read The Widow of the South, it’s worth a look.